The former Glens Falls High School building on Glen Street was built in 1905, replacing the original Union Free School District No. 1 which had burned down in the same location three years prior. It was designed in the Neoclassical/Georgian Revival style by Ephraim B. Potter, a local architect who designed many iconic structures in Glens Falls, Fort Edward, and Hudson Falls, including the Madden Hotel, the Peyser and Morrison Shirt Company Building, the Bemis Eye Sanitarium Complex, and the B.B. Fowler Company Building. The four-story brick building opened as Glens Falls High School in September 1906, and two decades later the rear of the building was expanded to accomodate the Junior High School as well. In 1952, the Junior High School took over the entire building when the Senior High School was relocated to a new building on Quade Street. This arrangement lasted until the 1980s, at which time the district built a new Middle School on Quade Street - next to the High School - and sold the building on Glen Street. 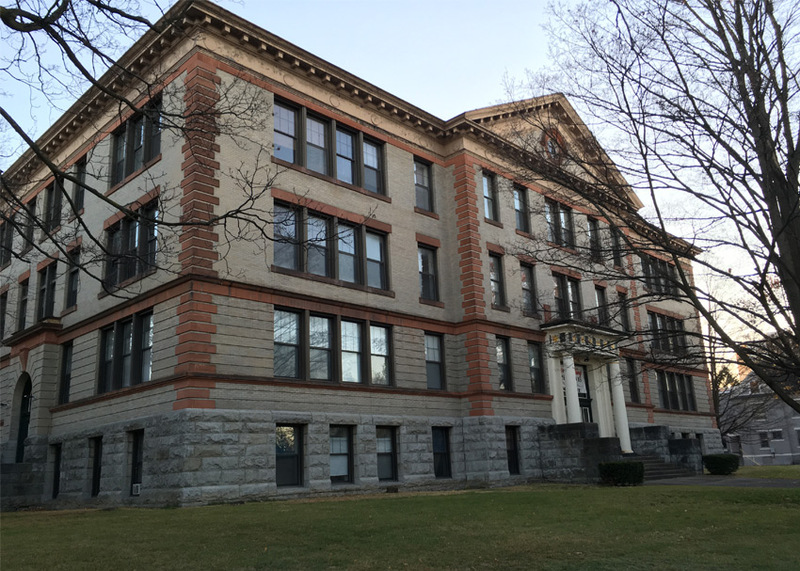 In 1984, the former High School building was entered into the National Register of Historic Places, along with a number of other properties that made up the Glens Falls City Multiple Resource Area. Today, the building houses dozens of apartment units. Glens Falls Middle and High Schools are still located on the aforementioned Quade Street campus. Palmer, Gwen, Bob Bayle, and Stan Malecki. Images of America: Glens Falls. 99.